Thinking about where I was going and what I had at my disposal birthed a body of work that was self-sufficient within the environment in which it was created. I created my own inks that were composed from dried powdered herbs and minerals in a flour and water base, directly compostable for no direct impact on the environment. The imagery that I used was from the surrounding area. 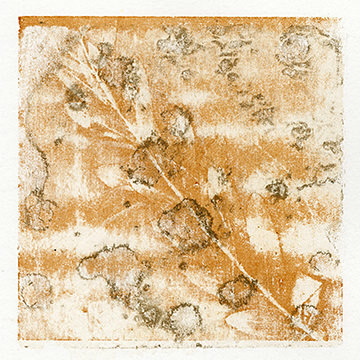 Leaves, grasses, dirt, flowers­­–all these natural elements became a jumping point for my prints. 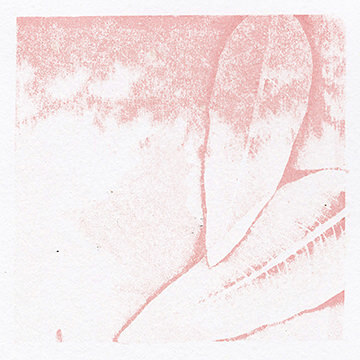 The physical items of the natural world were used to create stencils for this series of natural works. 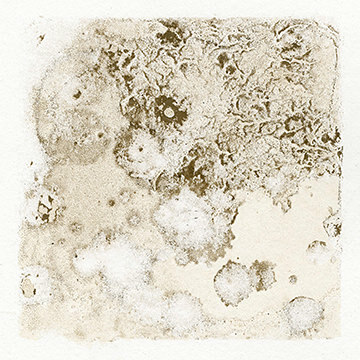 This residency taught me about new processes of materials and image-making.